SKU: WS254. Categories: Novelty Signs, Political, Warning Signs. Tags: Gulf War Veteran, Warning Signs. 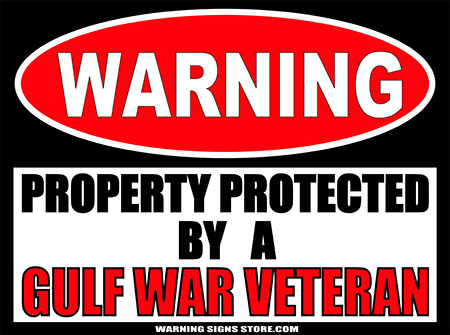 This Property Protected by Gulf War Veteran sticker makes a great gift for the service men and women in your life who put their safety on the line to serve their country. 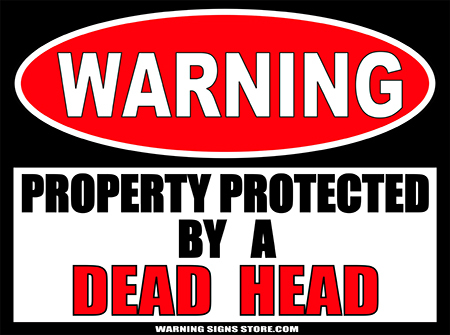 This Property Protected by Gulf War Veteran sticker measures out to approximately 4.5″x6″. It is printed in a glossy finish with eco-friendly inks on a premium vinyl polymer. Our inks are UV resistant and designed to last 7-10 years, indoors or out.